I've been digging through the early days of my blog and discovered something. In my defense, I didn't forget - I just never finished the projects! Needless to say there are plenty of unfinished things in my house. I try to complete them, they just never seem to make it to the top of my priority list anymore. However, I did come across one that I finished that I can share with you now. You all know my love of all things tea stained. 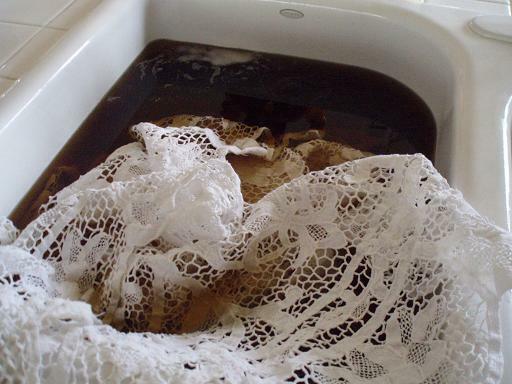 In my very second blog post, I showed you how to tea stain for yourself. In that post, I showed you a beautiful tablecloth I found at an antique store. My intent was simply to tea stain it and use it on a table. Unfortunately, after I put it in the tea to soak, I realized that the previous owner had bleached it heavily. The smell was unmistakeable once it got wet, and I noticed that it was becoming more brittle the longer it soaked. My heart sank when I pulled it out of the sink and it started coming apart. Well, not being one to waste anything, I set it aside until I could decide what to use it for. I decided on a lampshade. And meant to do it right away. But I DID finally make it, and here it is. This is the tablecloth before - crisp white, but on it's way to pure shabby creamy color. 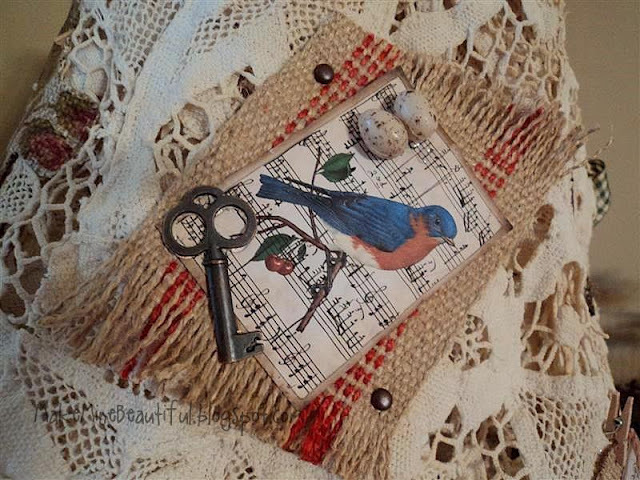 I raided my craft closet of bird items, keys, and ACEO tags. I made individual fabric embellishments, and then hot glued them to the shade. 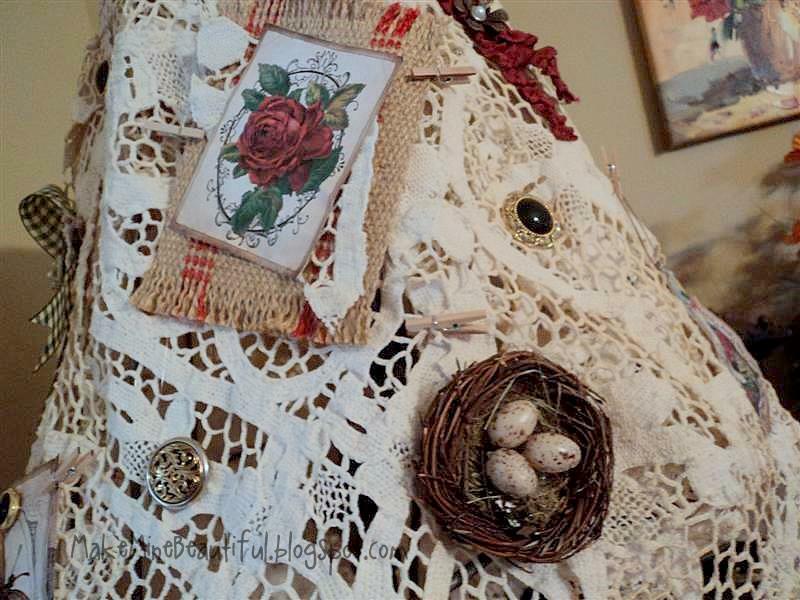 I then added lots of fun buttons (my signature go-to accessory) and keys, nests, and ribbons. I made 3 of these and sold 2 of them right away. I love the way they turned out so I thought I'd take one home with me. But, after trying it out in every room of my home, I just can't find the perfect spot for it. Or the perfect lamp base for me. As lovely as it is, it's not fitting the look of my home. Maybe you love it. And maybe you have the perfect place for it. And maybe you want it for yourself. I sold these in the shop for $69, but I'm selling this last one for $42, plus $8 shipping. If you want it, I'll load it up on etsy and send you the link. It's ready to mailed out! What projects have you started, meant to finish, and never have? It's time to get those projects completed! Marianne over at Songbird is hosting her Gitter Done party every week now, so we have a reason to get busy and Gitter DONE! Doesn't matter how big or small the project as long it's been on your list for a while and you've FINALLY got it done! Polly, what a perfect use for a tablecloth that fell apart! 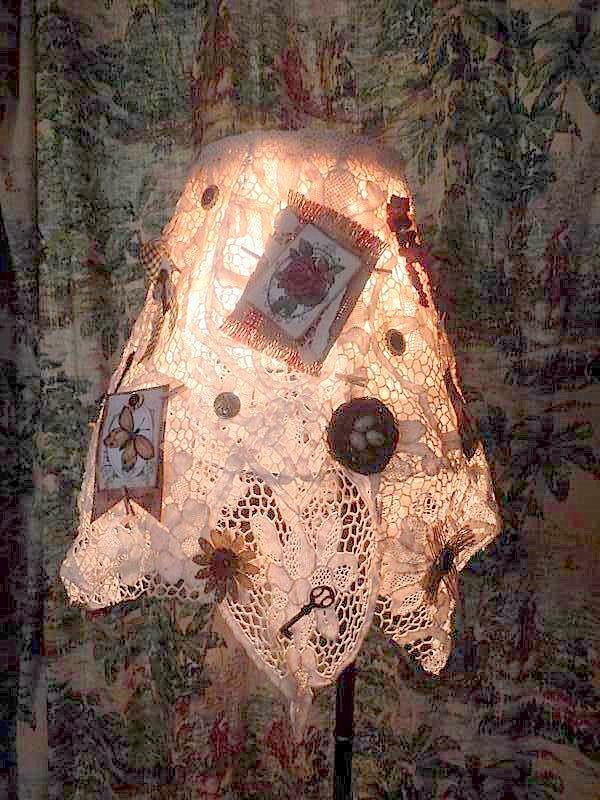 The lampshade is just very fun and so very shabby chic! I am sure an owner will come about very quickly. On my list are twelve napkins I purchased with a tablecloth at an estate sale. Unfortunately only the top one was embroidered. The eleven beneath are yet to be done. I keep thinking ~~ a perfect winter project! Polly, I would have thrown the tablecloth out! The shade is so lovely...it's like it's telling a story! I LOVE the keys!!! Where do you find this stuff? I have been looking for keys for a long time! That's so awesome that you sold the others at the shop!!!! Polly, I love your shade! 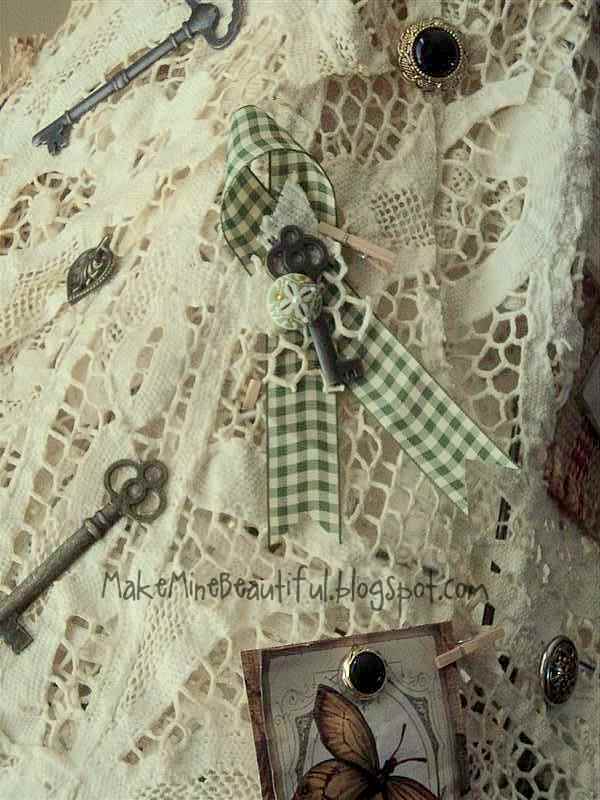 Love the details and the lace, just a lovely combination! How pretty...I knew you were creative but this is just fantastic. I love the embellishments! I have been meaning to get back to embroidering, sewing and stuffing some little mittens that are Christmas tree ornaments. I only seem to want to do this in the winter and then I forget about them! Hopefully I will have them done by next December! I really like the tattered lace and bits and bobs you've added. I recently (last July) inherited two amber hobnail lamps, they are rather tall and in need of some TLC-- the shades I've set aside for them are kind of short for such tall lamps-- this might be the trick. because I like your ideas! Soooo pretty! The way it glows at night is truly stunning. Very cool creation, Polly! 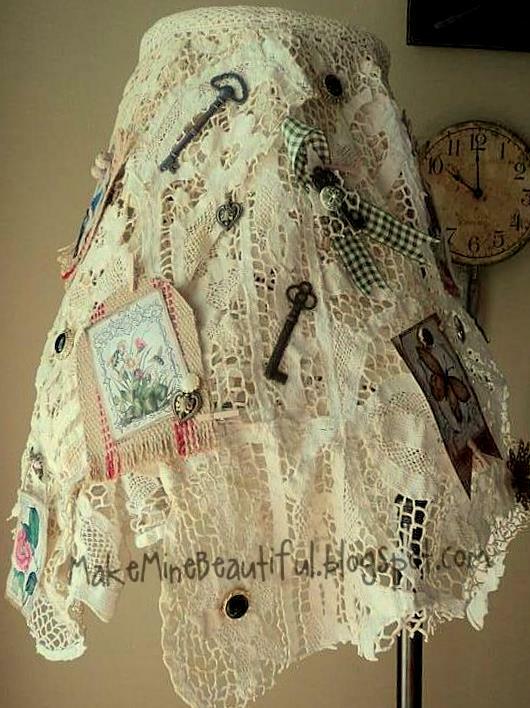 It's great that you salvaged enough of the tablecloth to make the lampshades. It turned out really pretty. Love it with the light on. Very clever. Yes, I start and don't finish and I dream about doing a lot I never start. So happy to see you've finished something that gives you such pleasure. This is good on so many levels! First you got that project long overdue of your to-do list and second you used something that almost everybody would have thrown in the trash and made it beautiful. That lampshade is just adorable. Hope it finds a new home soon. Looks wonderful, love all the bits and pieces with it. Gina sent me by. What a beautiful share this morning. 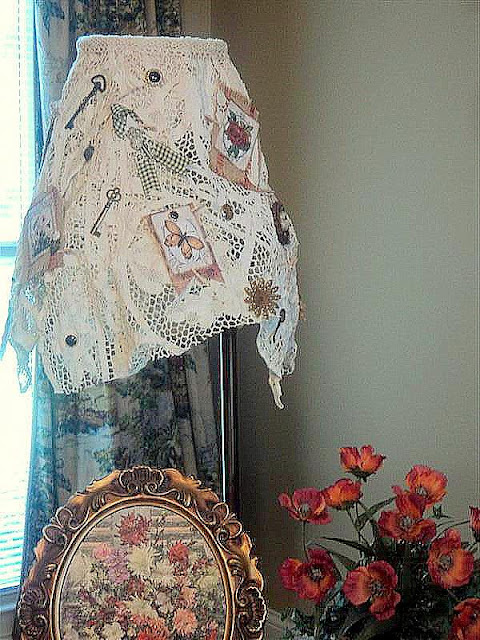 I love the use of the lace tablecloth. It just goes to prove there is no such thing as junk. We can recycle all things into something as beautiful as this. Just look at all the textures and beauty that you have combined. I love this idea, and I cannot begin to tell you how many lace curtains or tablecloths I have tossed because of a tear or two. Wahhh. You have taught me well. I am also so in love with your work aprons. That cherry one has stole my heart. 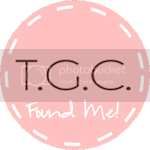 I am Country Wings in Phoenix, your newest follower and I can't wait to explore your blog a little more and see what wonderful things you share next. Please stop by and say hello. I would love to have you sign up to follow my blog as well. I love sharing our day to day lives and crafts along the way. What a wonderful idea! Thanks so much for sharing this and I am so glad that Gina from The Shabby Chic Cottage sent me over! Have a blessed day! tea staining adds such a nice light touch to your projects....pretty! saying hello from me to you via gina and shabbychic cottage as well! Love this! Gina from Shabby Chic cottage sent me and I'm so very glad she did! Visiting from Shabby Chic. Your blog is fabulous! I came over via Gina at The Shabby Chic Cottage, and let me just say that this is one of the neatest most creative things i've seen! I also love your aprons, very cute!! Gina sent me over to check you out. Love your stuff, especially your aprons! Hi Polly, Gina from The Shabby Chic Cottage sent me over. I love your blog! I'm signing up to follow in a reader, but would really prefer an email sign-up. Have fun at Blissdom! Wow, Polly! What a fun blog! Gina from Shabbay Chic Ccottage sent me over, and I'm really glad she did. I definitely want to read more of what you have to say! Your aprons are just beautiful. What a great idea! 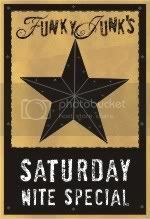 I'm so happy Gina from Shabby Chic Cottage sent me by! I've now joined your blog. Also, your aprons are so fabulous! saying hi from shabby chic cottage!! Hi Polly, Gina sent me over from Shabby Chic. I love all your products!! !